it’s been around for three years now, and it’s made a splash in that time. 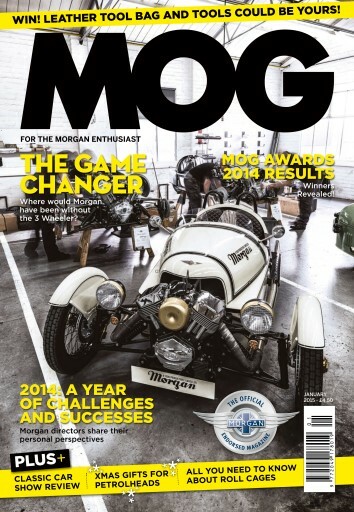 But how important has the new 3 Wheeler been to the Morgan Motor Company? Was it a saviour or just another great addition to the line up? MOG finds out. We’ve got the results for the MOG awards – find out the big winners of 2014 as voted for by you. Mogification delved into the world of roll cages, we report back from the Classic Motor Show and we’ve also compiled an in-depth Christmas gift guide. And of course, as ever, there’s a lot more.